Combine all ingredients except BBQ sauce in a small bowl and allow to marinate for 15 minutes. Preheat a large skillet and sauté chicken mixture until hot and lightly browned. Add BBQ sauce and stir to combine. 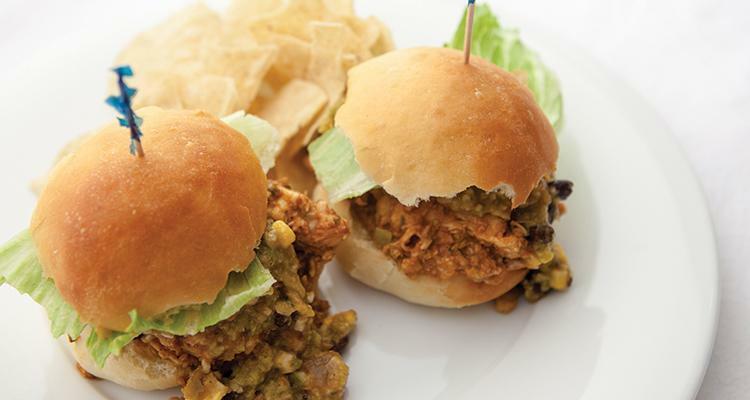 Place about ¼ cup of chicken mixture on each bun and top with Southwestern Salsa recipe.